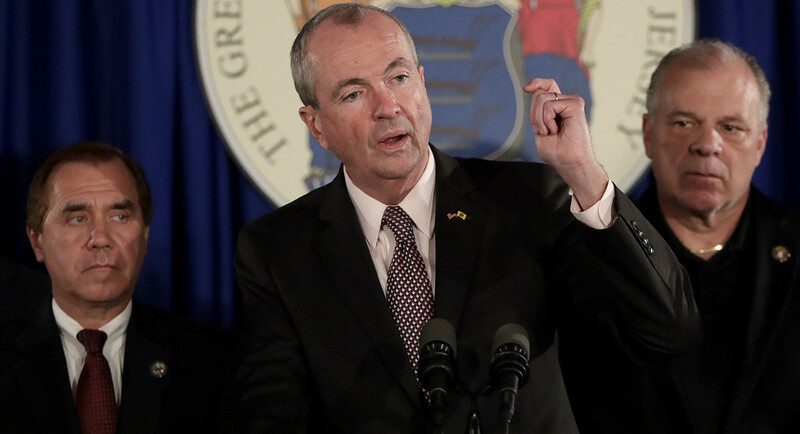 The two tax increases will provide $440 million in new revenue over the fiscal year. The controversy comes amid heated national debates on immigration, law enforcement and surveillance — issues on which Silicon Valley’s workforce wants the industry to take a stand. In the past month, workers at Google, Microsoft, Amazon and Salesforce have organized and written letters calling on CEOs to cancel or review contracts with government agencies whose work the employees say raises ethical questions. The groundswell of opposition to many industry practices and projects is forcing executives to revisit their work, a marked shift in how they operate. “I think it seems to be a part of a growing trend in how employees are looking for jobs. They’re trying to find companies that they feel have similar values to them,” said David Hess, a University of Michigan Ross School of Business professor on business law and ethics. The industry has long been at loggerheads with President Trump Donald John TrumpMike Huckabee: If Trump nominated Moses to the Supreme Court Dems would still be unhappy Trump admin likely to detain migrant families for months during immigration proceedings: report ICE chief to protesters: We’re not the ones separating families MORE. In the president’s first year, tech companies took a prominent role in opposing his ban on travelers from Muslim majority countries. But that opposition has been ramped up by new controversies, in particular the administration’s zero tolerance policy on illegal border crossings and concerns about the use of tech tools for surveillance and law enforcement. Tech workers are citing historical examples, saying they don’t want to see their companies take on roles that parallel IBM’s work during the Holocaust when it leased Nazi Germany punch card machines that helped them identify and track Jewish people. Such concerns spurred workers at Google to organize against the company’s Project Maven — an artificial intelligence tool the Pentagon used to improve its drone warfare, according to Gizmodo. Workers at other companies quickly followed suit. Microsoft employees are pushing CEO Satya Nadella to drop the company’s contract with Immigration and Customs Enforcement (ICE) in protest over the agency separating children from families caught crossing the southern border illegally. At Amazon, workers banded together to oppose the company selling its facial recognition software to law enforcement agencies out of fears the technology could harm marginalized communities. Salesforce workers earlier this week penned their own letter to CEO Marc Benioff urging him to review its contract with Customs and Border Protection, also out of concern with the administration’s family separation policy. Those actions have garnered some early successes. Google said it would not renew its Project Maven contract with the Pentagon reportedly because of pressure from employees. Salesforce Chief Equality Officer Tony Prophet, met with employees in response to their letter, a source with knowledge of the meeting told The Hill. And Nadella sent employees an all staff email disavowing ICE’s work in separating families at the border and saying that Microsoft’s contracts did not pertain to those practices. Employees say that they want to see more action though. One Microsoft employee involved in organizing the letter opposing the company’s ICE contract told The Hill spoke that Nadella’s response did not go far enough. “The response was empty. It was shallow. He just said ‘we denounce it.’ It didn’t do anything,” the employee said. Amazon has yet to publicly respond to worker activism at its company. A spokesperson for the Tech Workers Coalition, a labor group for industry workers, said the spike in organizing is partly because of the nature of some of the industry’s contracts. The Tech Workers Coalition has voiced its support for employee-organizing efforts and more generally workers rights in the tech industry. Not everyone is supportive of the new worker activism in Silicon Valley, though. Lawmakers have criticized criticized Google for saying that it wouldn’t renew its contract with Pentagon, while noting that it still has a partnership with Chinese phone maker Huawei. Huawei has raised national security concerns in the U.S. over the company’s close ties with China’s government. “While we regret that Google did not want to continue a long and fruitful tradition of collaboration between the military and technology companies we are even more disappointed that Google apparently is more willing to support the Chinese Communist Party than the U.S.,” a group of lawmakers led by Rep. Mike Conaway Kenneth (Mike) Michael ConawayOvernight Defense: VA pick breezes through confirmation hearing | House votes to move on defense bill negotiations | Senate bill would set ‘stringent’ oversight on North Korea talks Religious leaders push back on Republicans for new GOP tax law Hillicon Valley: New FTC chief eyes shake up of tech regulation | Lawmakers target Google, Huawei partnership | Microsoft employees voice anger over ICE contract MORE (R-Texas) wrote. Former Deputy Defense Secretary Bob Work shared similar concerns during a conference on Tuesday. “They say, ‘What if the work is ultimately used to take lives. But what if it saves American lives? 500 American lives? Or 500 lives of our allies?” he said. Hess said it’s unlikely the protests will slow down. He said the activism is part of a growing trend that is seeing both workers and the general public press corporations to take stands on controversial issues. Hess pointed toward pressure on companies to come out against President Trump’s travel ban and bills in states like North Carolina and Texas targeting transgender rights. “Trump has created a sense among some groups that the government isn’t going to protect things they care about,” said Hess. 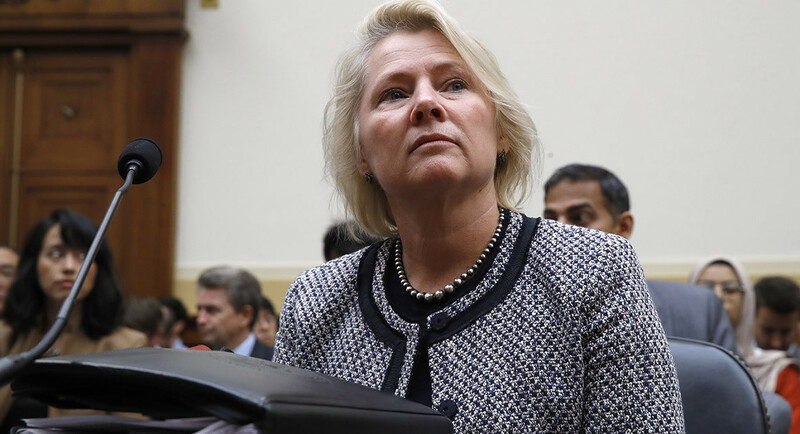 Homeland Security Secretary Kirstjen Nielsen on Saturday announced the new acting director of Immigration and Customs Enforcement, an agency that has become a pariah among some progressives and Democratic lawmakers who have in recent weeks said it should be abolished. 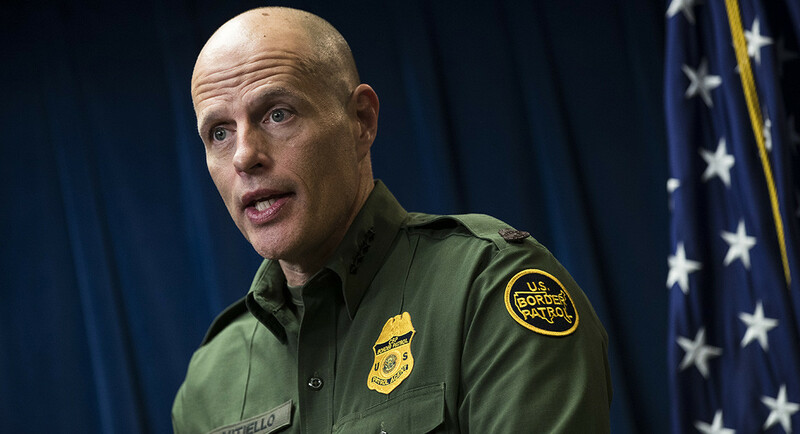 Nielsen named Ronald D. Vitiello, currently the acting deputy commissioner of U.S. Customs and Border Protection, as both the deputy director and acting director of ICE. Vitiello’s new roles are effectively immediately. “Deputy Commissioner Vitiello brings to ICE the vision and leadership needed to continue the exceptional work the agency is doing to accomplish its crucial national security and public safety missions,” Nielsen said in a statement accompanying the announcement. Vitiello will replace Thomas Homan, the current acting director of ICE, who retires this month. Senate Democrats’ intense opposition stalled Homan’s confirmation after the White House nominated him November to become the agency’s director. According to the release, Vitiello has been a part of the larger homeland security field for more than three decades, starting out as a border patrol agent. The appointment comes at a critical time in ICE’s history. After agitation from progressive activists, a number of Democratic lawmakers are pushing to abolish ICE, an agency that was created in the wake of the September 11 attacks. President Donald Trump has delighted in the political fracas over the agency, seeking to portray calls to rein in ICE as overly extreme and indicative of a less stringent approach to immigration enforcement. He wrote on Twitter Saturday that the “radical left” wants ICE agents out. Rep. Maxine Waters Maxine Moore WatersHouse GOP chairman: Death threats against Maxine Waters are ‘intolerable’ Democrats can kiss swing voters goodbye with progressive ballot Clinton rips complaints about civility: ‘What is more uncivil and cruel than taking children away?’ MORE (D-Calif.) has addressed a series of recent death threats she said she has received, telling would-be threateners to “shoot straight” during an immigration rally on Saturday. She said she has been getting harassed after she called for protesters to confront Trump administration officials in public over its “zero tolerance” immigration policy. Trump slammed Waters during a campaign rally earlier this week after inaccurately claiming in a tweet that Waters called for protesters to harm his supporters. “As the President has continued to lie and falsely claim that I encouraged people to assault his supporters, while also offering a veiled threat that I should ‘be careful’, even more individuals are leaving (threatening) messages and sending hostile mail to my office,” Waters said in the statement, according to CNN. The Democrat then appeared on MSNBC’s “All In With Chris Hayes” on Monday and read a list of times when Trump has used physically charged rhetoric. Waters tore into Trump during the rally on Saturday. “How dare you take the babies from her mother’s arms,” Waters said. The lawmaker has been criticizing the Trump administration’s zero tolerance policy which previously separated migrant children from their parents. Trump signed an executive order earlier this month to end the practice of family separations. “Families Belong Together” marches took place all across the country on Saturday as thousands of children have yet to be reunited with their families. Former Secretary of State Rex Tillerson pushed for Thornton to lead the state’s East Asia bureau during his tenure, but then White House chief strategist Steve Bannon tried to block her advancement. Bannon claimed she was too soft on China, but her nomination moved forward after he was ousted from the White House. Sen. Marco Rubio (R-Fla.) also said he did not want her to be confirmed. Thornton did receive a confirmation hearing, but never a vote. The news of Thornton’s retirement could be a blow to morale as Foggy Bottom continues to lose seasoned diplomats.